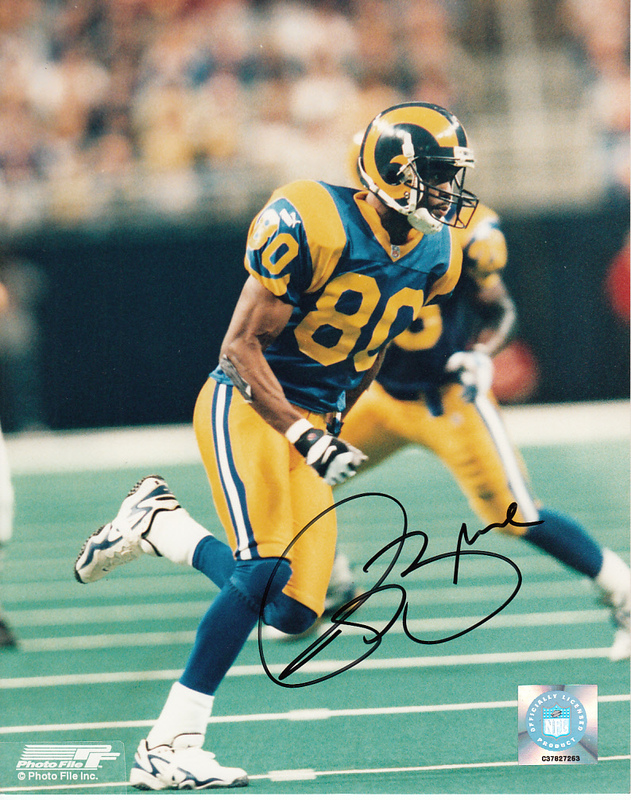 8x10 St. Louis Rams action photo autographed in black marker by former All-Pro wide receiver Isaac Bruce, a certain future Hall of Famer. 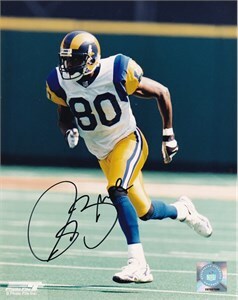 Obtained from private signing. With certificate of authenticity from AutographsForSale.com.